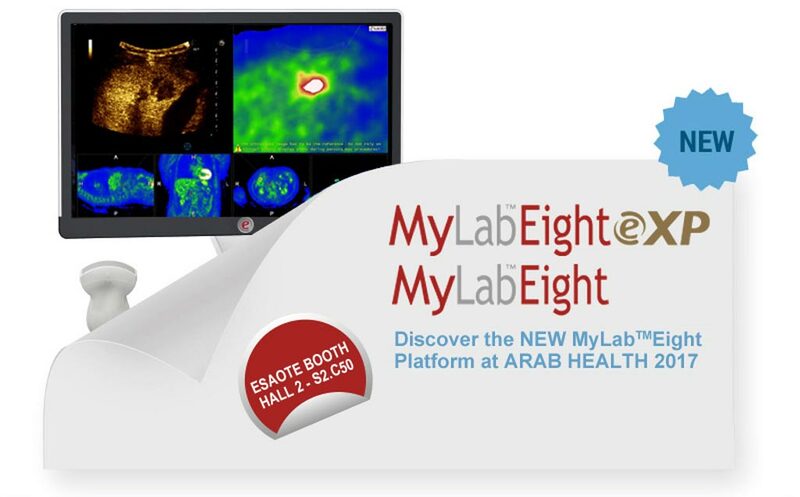 Esaote, which manufactures diagnostic ultrasound systems and probes, presented the brand new MyLab Eight ultrasound platform, along with MyLab One, portable ultrasound with touch, at Arab Health 2017, the largest healthcare exhibition in the Middle East. 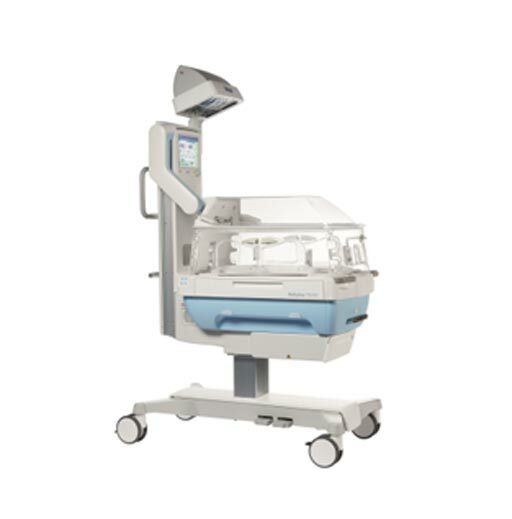 Esaote’s product portfolio ranges from compact to cart-based ultrasound systems to dedicated MRI and high-performance healthcare IT solutions. MyLab Eight incorporates its new eMPowered Engine to optimize high-density single crystal transducers to enable images to be captured deeper in the body with unprecedented quality for difficult-to-scan patients. Additionally, its new WideView visualization technology offers sharp diagnostic image clarity with enhanced spatial and contrast resolution. A full assortment of advanced tools, including QElaXto shear wave quantitative elastography, Virtual Navigator real-time Fusion Imaging, RF-based QIMT, QAS arterial stiffness quantification, CnTITM contrast enhanced ultrasound, and many more, make MyLab Eight ideal for everyday clinical needs and the most demanding research activity. Image: Esaote presented the MyLab Eight ultrasound platform, along with MyLab One, portable ultrasound with touch, at Arab Health (Photo courtesy of Esaote). At the exhibition, Esaote also showcased its MyLab One portable ultrasound with touch, which features advanced technology embedded in a robust and versatile system for use across a broad range of diagnostics applications such as emergency medicine, regional anesthesia, physiotherapy, vascular access, and critical care. The system features a dedicated set of tools to help the user during the daily routine from knobs on probes, full touch screen technology, to onboard application libraries. The flat front panel of the MyLab One allows easy cleaning as well as using a dedicated cover for sterile environments, while its long-life battery, multi-probe connector and wireless connectivity create an optimal workflow, resulting in improvement in patient throughput. The system can be used in a roll stand, docking station, attached to an articulated arm, or can be simply carried. Other technologies on display by Esaote at the event were EVOlution, the latest and greatest software and hardware upgrade configuration in dedicated MRI, Ultrasound and Healthcare IT, aimed to help boost productivity, increase image quality and provide new acquisition techniques. Esaote also showcased its Suitestensa VNA clinical repository, mobile platform and patient portal, which aims to promote collaboration, communications and greater patient satisfaction.